British media's ever-increasing campaign of war, fear and hate-mongering is an ominous sign of new wars abroad and severe repression at home. 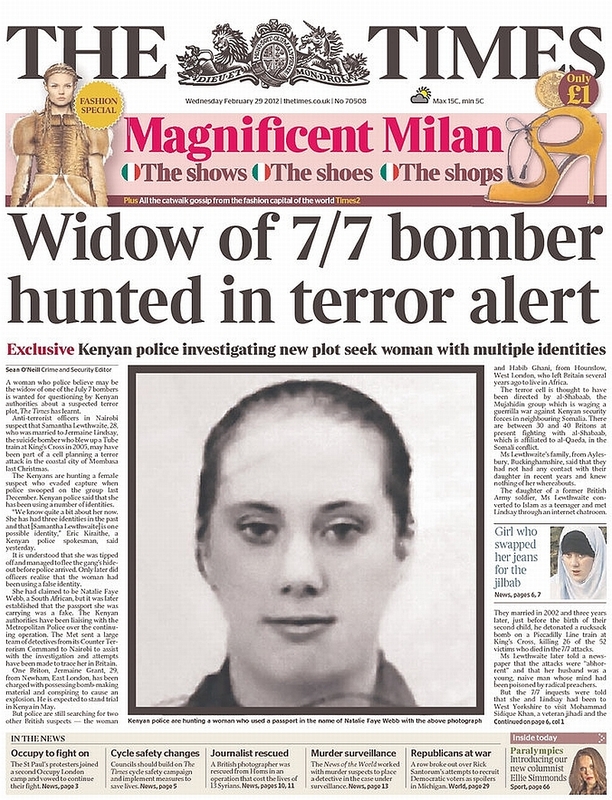 A woman who police believe may be the widow of one of the July 7 bombers is wanted for questioning by Kenyan authorities about a suspected terror plot, The Times has learnt. 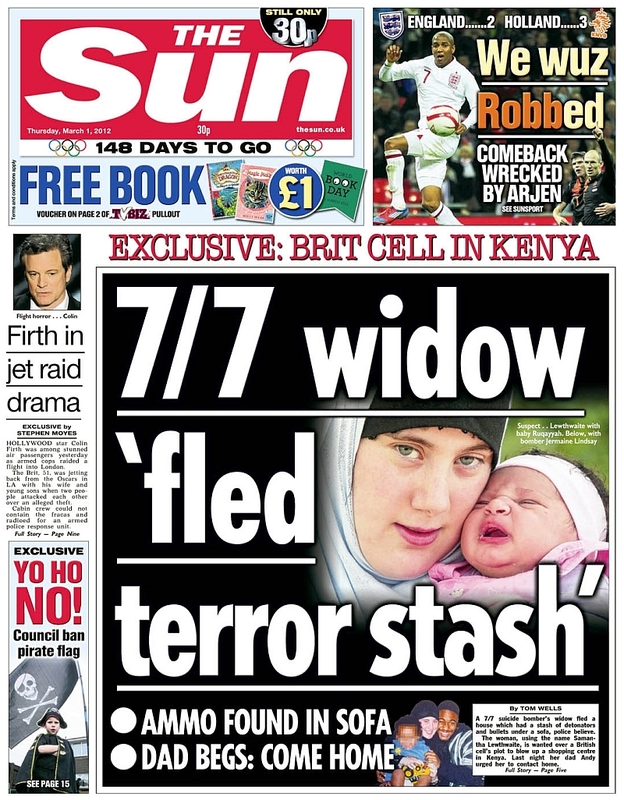 Anti-terrorist officers in Nairobi suspect that Samantha Lewthwaite, 28, who was married to Jermaine Lindsay, the suicide bomber who blew up a Tube train at King's Cross [in Central London] in 2005, may have been part of a cell planning a terror attack in the coastal city of Mombasa last Christmas. The terror cell is thought to have been directed by al-Shabaab, the Mujahidin group which is waging a guerrilla war against Kenyan security forces in neighbouring Somalia. There are between 30 and 40 Britons at present fighting with al-Shabaab, which is affiliated to al-Qaeda, in the Somali conflict. About 2,500 people are taking part in "Operation Forward Defensive", a large-scale Olympics counter-terrorism training exercise, the "most complex" that has been attempted to date. British terrorists returning from international conflict zones are posing a growing "lone wolf" threat to the UK, a think tank has warned. The alleged terrorist mastermind behind the July 7 London bombings is reported to have been freed from a Syrian jail by President Bashar Assad's regime. 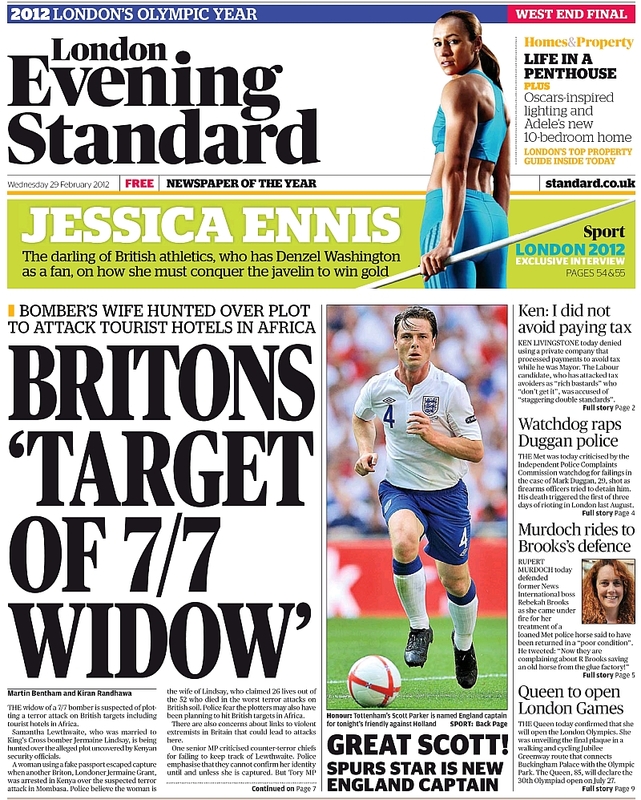 Two women suicide bombers are ­plotting a terrorist outrage timed to coincide with a conference of world leaders being held in London this week. 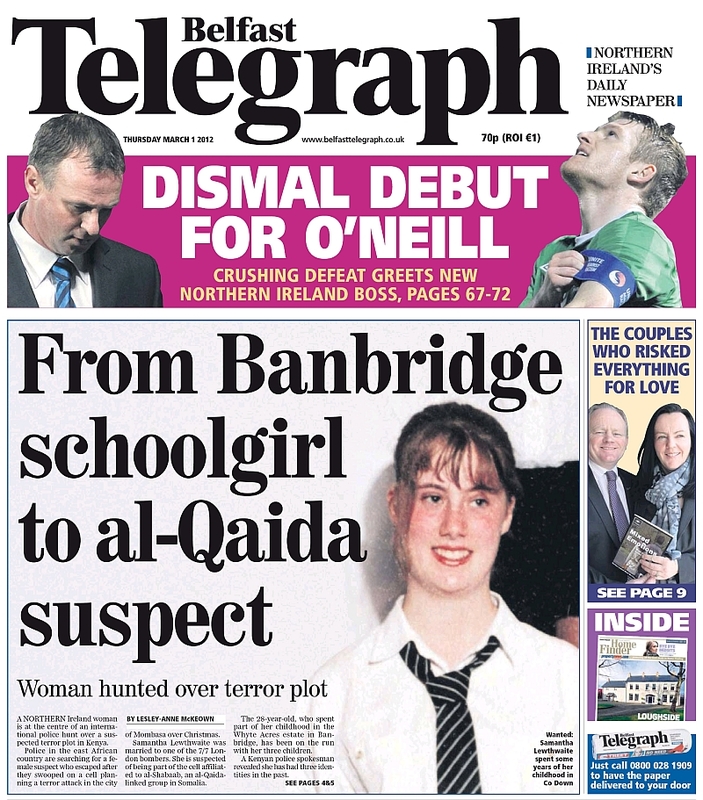 Repressive techniques perfected in Northern Ireland are being deployed for the first time on the British mainland. The UK has been instrumental in consolidating relations between the disparate and isolationist opposition groups in Syria—not because the British elite want genuine democracy, of course, but because Syria’s President Assad would not acquiesce to the neo-liberal economic policies of the Broader Middle East and North Africa Initiative (BMENAI). The Royal United Services Institute, in partnership with the Home Office, held a conference on security for the upcoming Olympic Games in London. Preparations for the 2012 Olympics in London are being approached based on the calculation that Britain is a country on the edge of mass social conflict. Tom Secker's recently released film about the 2005 London Bombings "7/7: Seeds of Deconstruction" shows how the official story of what happened has been radically adapted and revised over time.